Finally answering back to Apple’s ARKit, Google is getting into the augmented reality sector by launching its AR app software ARCore, so this tech can finally be accessed by all Android developers. Officially launching after six months in developer preview, this tech has the opportunity to make a big imprint on the augmented reality industry by creating a competitor to compete with Apple developments. Google partnered with Snapchat to showcase the launch of the new augmented reality tech with a 3D world lens. 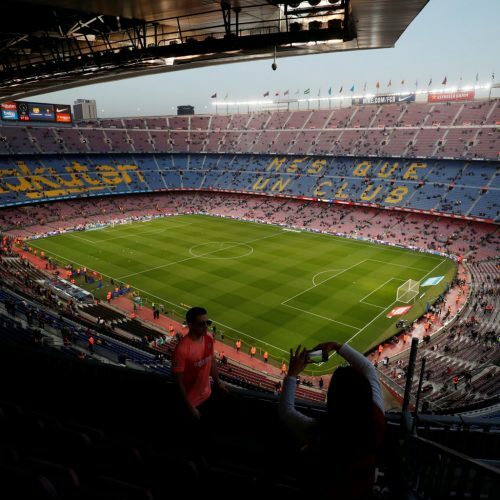 The first to get in on this ability was the Mobile World Congress in Barcelona which created a lens that allows fans to enter Barcelona’s Camp Nou football stadium the same way they would in real life. After entering, they will be able to get a close-up look at the arena as if they were standing on the field. The Barcelona launch will happen in March and users will be able to access the experience through Snapcodes. These apps are allowing AR to reach the greater public and sports have offered many opportunities to be the launching ground with their strong global fan bases who value interactive experiences. Augmented reality apps have the ability to allow people to connect not only to their favorite sporting team but also to other fans around the world strengthening the teams core fan base. Expanding their existing intelligent camera software, Google also announced that the accessibility would be growing so the software would soon be available to all IOs and Android English-speaking users. This software pulls relevant information from photos and can recognize objects including famous landmarks or dog breeds to allow users context from their pictures.